Finally you get a chance to Pre-Order your very own OSRC system. The title pretty much says it all but continue reading, to understand the plan and how this will be done. So far, Ilios, the 3D printer i am working on every day, allowed me to pay the bills and became my day job. Although the initial idea was to save up founds to proceed with OSRC, due to the financial state and many personal reasons i haven't been able to save much for the actual OSRC production and have been trying to simply finalize the design and move slowly as the budget and time allow it. The funds i try and collect for OSRC simply don't reach the required amount since every month other obligations come along, bills need to be paid and whatever is left simply covers whatever expenses there are during a quiet period during Ilios sales. Unfortunately, without a proper push to make the project a reality i really can't do much. I really want the project to be released and make the best system i can for you as i believe it truly is a unique idea and shall benefit the Drone and RC communities. So to try and get this going i prepared a Pre-Order in the shop. 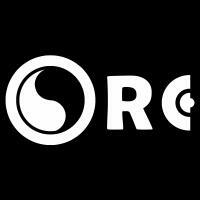 Something like a small KickStarter, since the shop is already fully functional and all the funds for each Pre-Order will go directly to the OSRC account for development. The price of the system is quite justifiable since the batch shall be quite small and completely made by hand as well as assembled and tested before shipment. Since every part is quite complex, some need to be machined, others need to be casted, i think the system you get is really worth lots more than what is stated. Surely if i was to make 1000 or more devices, the price would change and be quite accessible to all, however, since i shall be making less than 100 units for those who choose to Pre-Order the system, there is really no other alternative. This Pre-Order shall be available only for 2 months, which should be more than enough for all who are interested to make their order. Anything longer that 2 months would be unnecessary and i really want to begin shipping the system before the holidays so that some may have it as their Christmas or New Year present as well as start the new year with a clear path of action for future OSRC development. By Pre-Ordering this Premium package, you agree that the funds paid for it, shall be collected in a separate account, specifically meant for the production of your and other units, ordered here. Once the required amount of €57,659.00 is collected or the equivalent of 35 - 50 Pre-Orders, as shown in the shop description, all attention shall be redirected to the development and finalization of the system, for which 1 month (30 days) shall be used for organizing and preparing for production as well as for finalizing the system designs, 3 moths shall be used for the actual production and 1 month for shipment. This time frame shall begin 2 months after the deadline for this Pre-Order is reached which begins on the 18th of June - 2014 and shall end on the 18th of August or sooner if the required amount is collected, at which point it shall be announced in the website news. The above described amount is the absolute minimum i need to produce a small amount of units and still make them with the quality and features i initially planned. Please don't wait until the last minute to place your order since the faster we collect the funds, the faster i can begin working on the system. I have been working on the project for a really long time now and have tried every option and recommendation. Right now it is a simple matter of collecting the required amount and pushing on. Unfortunately, without doing it my self, i don't think any help shall arrive any time soon and i really can't wait for a miracle to occur. I have been honest with everyone who follow this project and always tried my best to help out with what i can. As enthusiastic as i am however, i really need to set some priorities regarding OSRC so this will be the last and final push i shall do as i can't bare to constantly be excited and hopeful about my baby, no matter how great or unique the idea is. If you think OSRC is truly a great idea and is worth releasing, Pre-Order your very own or help out with what you can through the Donation area of the site and let's make this something really great as i am sure it can be. When the required amount in the shop is reached, i shall begin working on the system and pause all other activities during that period, so that i create the best possible outcome. For current and future Ilios customers, this really doesn't change anything since i shall be merely pausing sales of new Ilos 3D Printers and shall be fully supporting those who already have it. Sales of the 3D printer shall resume once shipments of ISRC units begin. If you need an Ilios kit, please make sure you place your order before the 18th of August since that is the deadline for OSRC Pre-Orders and kit sales shall be paused after that period until the winter holidays, if the OSRC Pre-Orders reach their goal.